Rural hospitals and clinics across Texas are closing at an alarming rate, taking with them the doctors and surgical teams those communities need. Thirty-five Texas counties have no physician. Eighty have five or fewer physicians. Fifty-eight of the 254 Texas counties have no general surgeon. What happens if an individual is injured in a county with no hospital, doctor or surgeon? Will they survive the ambulance ride or flight to the closest medical center? To help rural Texas whose lives are impacted by rural healthcare shortages, the Texas A&M University Health Science Center (TAMHSC) and Blue Cross Blue Shield of Texas (BCBSTX) are working together to support collaborative care and healthy communities. The joint project will target solutions to healthcare challenges facing rural and underserved Texas communities to improve access to healthcare and reduce disparities in health status and outcomes in rural areas. The insurance provider has committed $10 million to TAMHSC for the project. 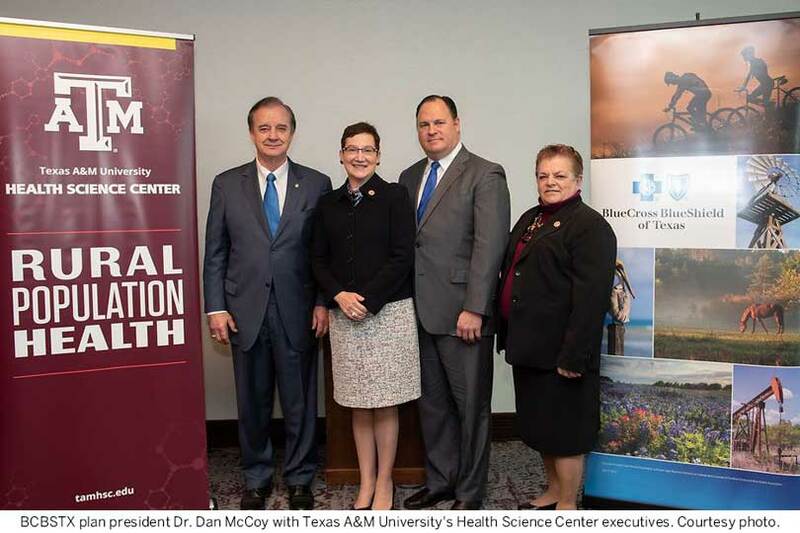 “Our funding will help support the incubation of fresh ideas for providing sustained access to quality, cost-effective health care in rural communities across Texas,” McCoy said. The joint project will bring together the expertise of more than 20 cross-disciplinary researchers across eight colleges at Texas A&M University. Focus areas of the project will include: ambulatory rural care delivery systems, rural hospital function and future, community empowerment and technology and health information.